This book talks about apologetics. 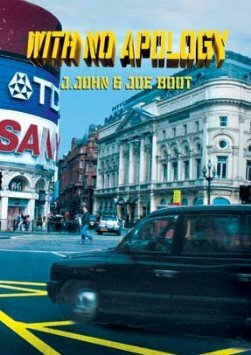 In a series of 5 intriguing taxi journey's, J.John asks his friend and colleague Joe Boot how to answer life's hardest questions. With No Apology is ideal to watch in groups or on your own. It raises tough issues, and provides the tools to help you develop your own response. It includes a link to a downloadable booklet with questions for further discussion, a glossary of definitions and suggestions for further reading.